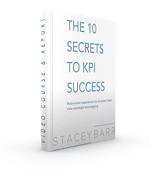 What’s Your Definition of Accountability for KPIs? What I always find is that people aren’t really sure how to define accountability. If you need to use the word ‘accountable’ or ‘responsible’ when you define it, you’re not really defining it. And if you say that it’s about delivering some quantitative outcome, you shouldn’t wonder why people shy away from being held accountable. Do you hold people accountable for hitting targets? None of this behaviour leads to what we really want from accountability: performance improvement. 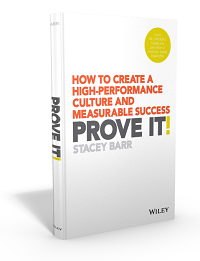 Performance cannot improve while ever people are sweeping the problems under the rug for fear of being dragged over the coals for ‘underperforming’. Our typical definition of accountability drives the wrong behaviour. With the typical definition of accountability, we’re ensuring we have lots of inaccurate good news. 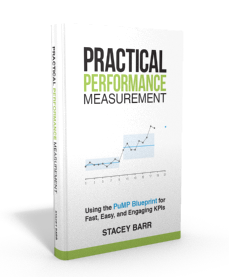 What we need for true performance improvement is accurate bad news. So to truly improve performance, our accountability definition must change. It should still be a challenge to encourage people to reach and stretch outside their comfort zones, but it cannot fill them with fear. It’s time for a new accountability definition, to create ownership of performance.